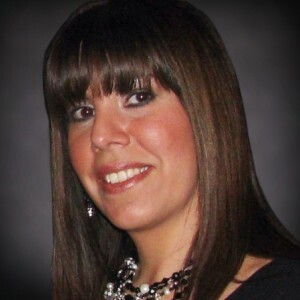 Cyndie Witthuhn, ARNP-BC, founder and owner of Advanced Aesthetic Solutions, is pleased to announce the addition of Ariane Mariano as the med-spa’s new clinical esthetician. Mariano is a trusted and accomplished clinical esthetician with 30 years of experience in the skin care and beauty industry. She is skilled in treating diverse skin types and conditions using the most advanced skin care systems, latest technologies and cutting-edge ingredients in the skin care industry. Her areas of expertise include microdermabrasion, hair removal, brow-shaping artistry, advanced chemical peels, anti-aging treatments and advanced exfoliation techniques including dermaplaning. Mariano is now taking appointments at the Fort Myers-based medical spa. Mariano is a graduate of the prestigious Christine Valmy International School in her hometown of New York City, and has pursued extensive education and training at the International Dermal Institute in New York. She most recently earned certification as a microblading artist from the world-renowned Phibrows Academy and as an Elleebana Lash Lift artist. To book an appointment with Mariano, or to learn more about Advanced Aesthetic Solutions’ spa and services, visit www.aasmedspa.com or call 239-936-3333. Advanced Aesthetic Solutions is a locally owned medical spa specializing in cosmetic and aesthetic enhancements. Offerings include medical-grade skin care products as well as minimally invasive, non-surgical procedures and treatments to assist in the overall plan of anti-aging and corrective skin care goals. The spa is located at 12734 Kenwood Lane, Suite 75, in Fort Myers. Visit www.aasmedspa.com to learn more or call 239-936-3333 to book an appointment. For the latest updates, follow Advanced Aesthetic Solutions on Facebook, Twitter and Instagram.